I worked in our backyard doing spring stuff this weekend. You know, planting, mulching, cleaning, raking. I also planted some grass seed. Now I’m praying it starts to grow. 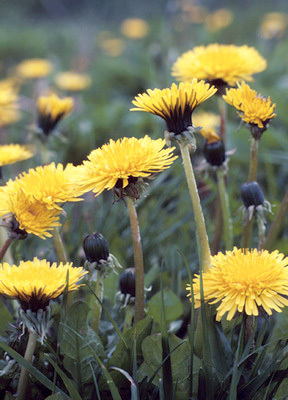 Why is it that grass seed rarely ever grows; yet a single dandelion “fluff” will fall on the grass, edge itself down to the soil, take root and gladly take over my lawn! It’s sort of like videos. How do some go viral and others sit quietly with no one seeing them. What makes a good viral video? Here’s 4 things you have to consider. Be Strategic. Know your audience. Who will want to see this? If it’s a small segment (ie. Rock n Roll Scientists) you’re doomed. Make sure it appeals to a large segment of the population. Then know the expected response. Will it entertain, educate, mesmerize, or gross some out? Be Real. If it looks too produced or perfect, it reads as slick marketing and will be ignored. Have some flaws, make it appear unscripted. People love to feel like you never intended it to go viral. Make sure the sound is good though (especially if the message needs to be understood). Be Creative. If you see a great viral video, don’t try to do another one just like it. There are a lot of “me too’s out there. Instead be different. Take another angle on a theme. If it’s similar to the “usual” people will be bored. This needs to generate a clear response! Be Visible. A lot of people think they shouldn’t promote their videos. Not so! Make sure they’re posted on sites that allow easy sharing. Then start tweeting about the link! Get all your friends to do it. If your friends don’t want to, it won’t go viral. Revert to #3 again. So what are you waiting for! Just do it. I’ll be watching for them.